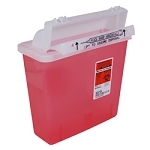 Kendall 5qt Sharps Container Wall Mount Cabinet Safety keyed. 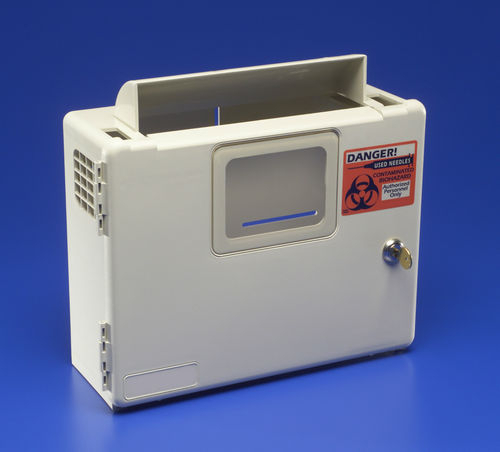 Contents can be viewed by hospital personnel, but unsightly items are not fully visible to patients and visitors. 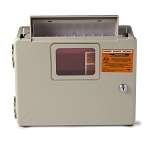 Sturdy enclosures are made of ABS plastic - the same material used in football helmets.